Please see below the tables for the recent supposed "full specifications" leak (February 12/13). 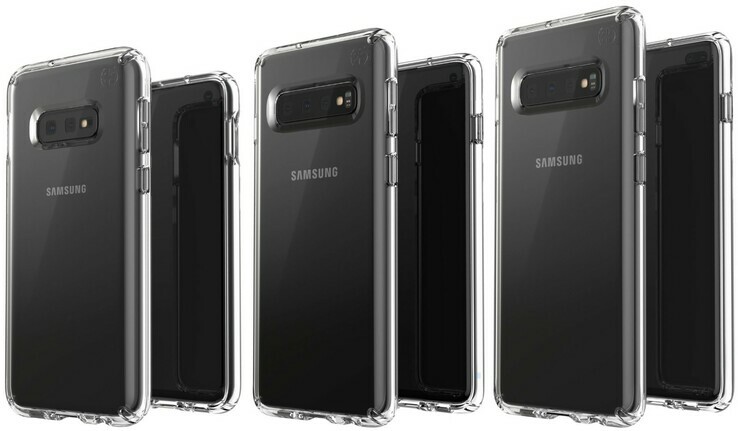 Update February 13: The alleged full specifications of the Samsung Galaxy S10e, S10, and S10+ have been leaked. 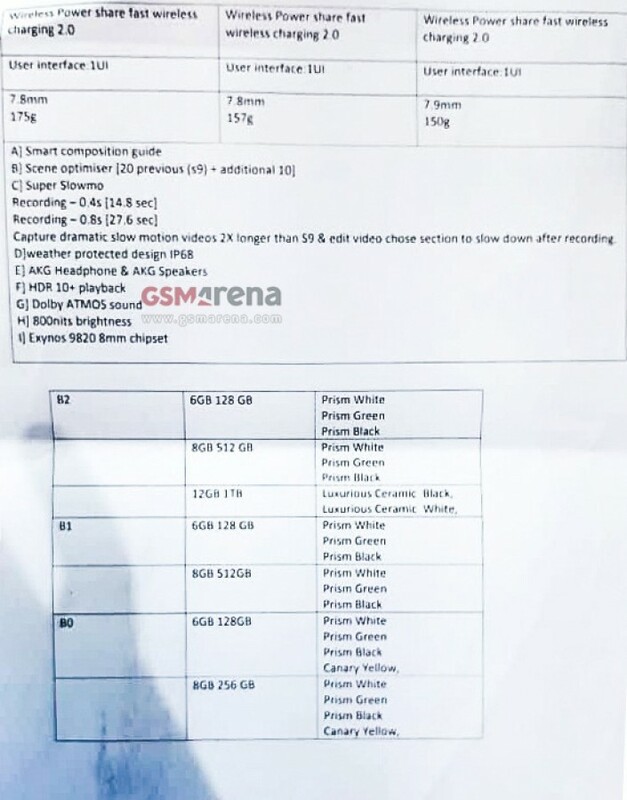 GSMArena received the spec sheets from an anonymous source claiming to be involved in Samsung's retail division. 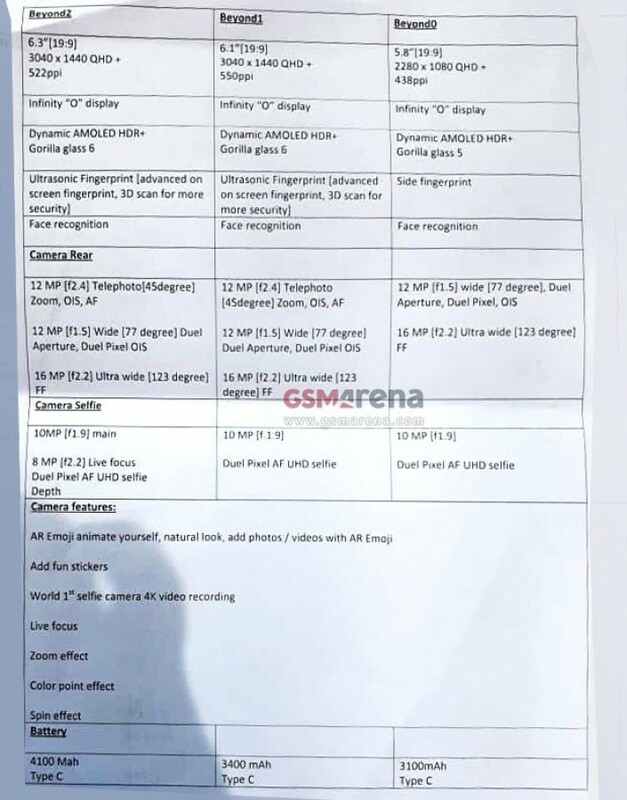 The two sheets have caused something of a stir but their validity has been questioned. There are some significant differences between the widely believed existing rumors and the spec sheets below. Fortunately, Samsung will soon be revealing what is the actual real deal.